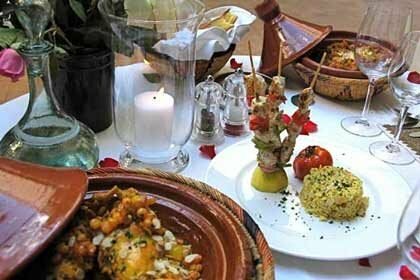 Earth Café Marrakech is the only vegetarian and vegan restaurant in the Medina. 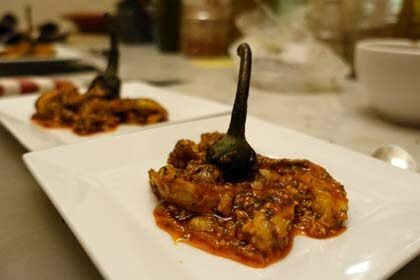 Not only is its location very much out of the ordinary but also its menu, offering a pleasant change from traditional Moroccan cuisine. 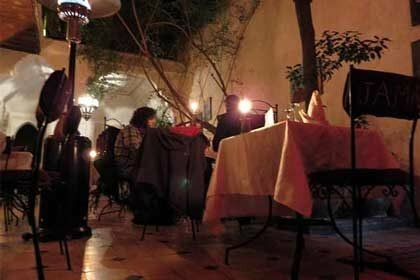 You’ll find the Earth Café in an old Riad in the southern part of the Medina. 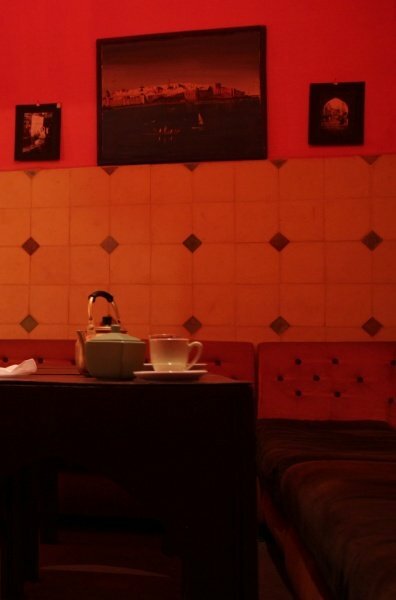 Walking in through the small inconspicuous door, you’ll suddenly find you’re in the middle of the restaurant, with its colourful walls and lounge music playing. The whole atmosphere is relaxed. 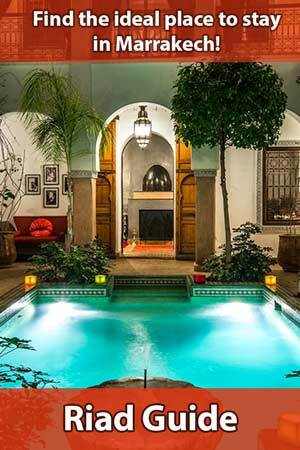 In the midst of the leafy Riad, this restaurant boasts several small alcoves and private rooms, with seating spread over three floors in total. So, you’ll have no problem finding a cosy place to sit down and eat. 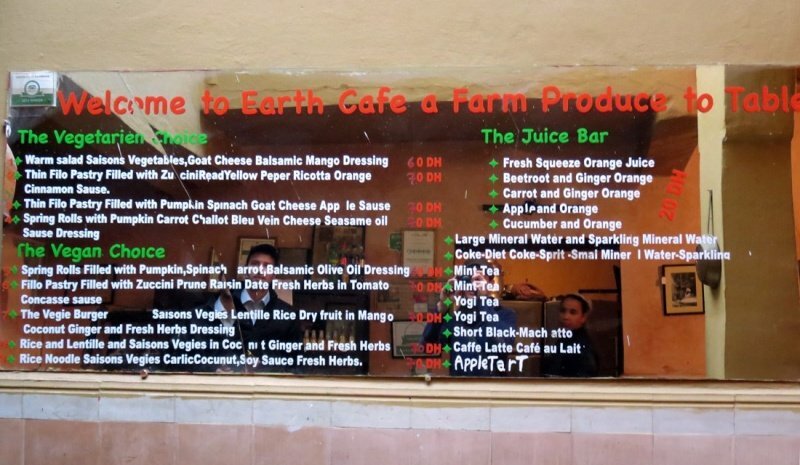 Inside Earth Café, the menu is written on a large mirror. 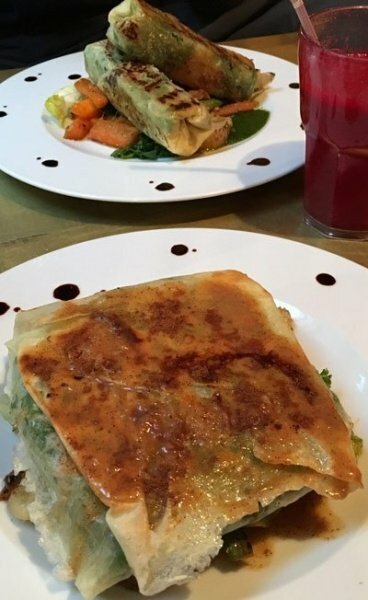 On offer are various salads, spring rolls, filo pasties and rice noodles, dishes which can come in very unusual combinations. 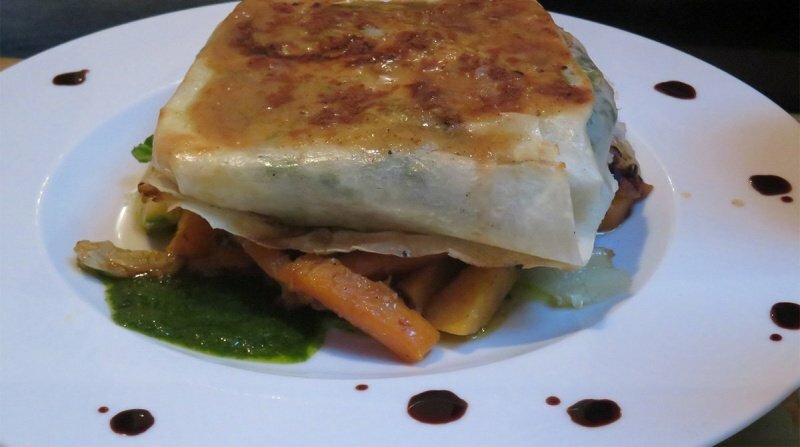 Anyone who’s spending a longer period of time traveling through Morocco will be pleased to find such variety, especially with the home-made goat’s cheese that’s an ingredient in some dishes. A selection of blended vitamin-rich juices completes the offerings. A selection of vitamin-rich juices rounds up the menu. Anyone still unfamiliar with the charm of beetroot, orange and ginger juice is strongly advised to try it there. 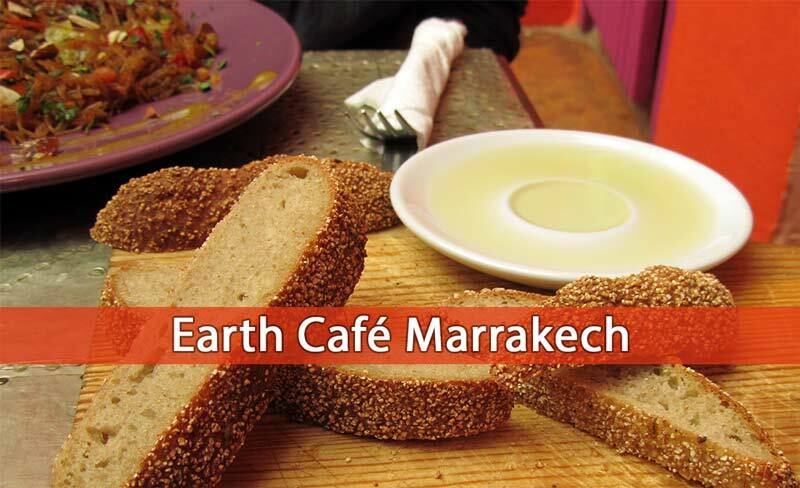 All dishes at Earth Café Marrakech are either vegetarian or vegan, with organic, regional and seasonal ingredients. 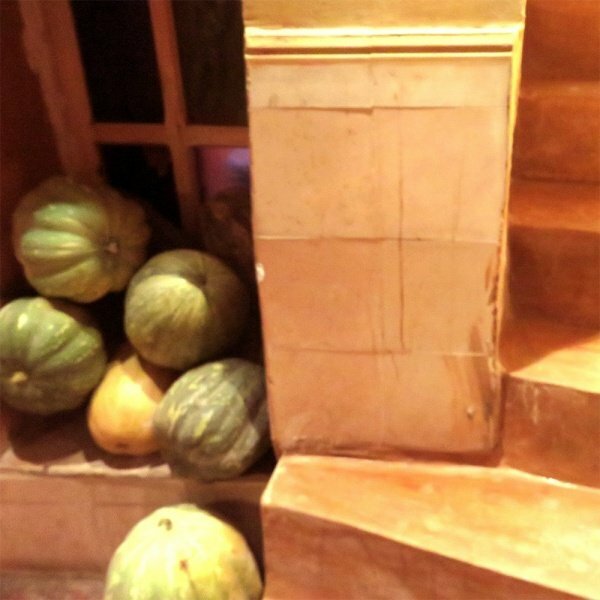 These come from the Earth Cafe farm, which lies just outside the gates of Marrakech. Naim Barakat, who lived in Australia and the United States before founding Earth Café, grows her vegetables here and these are the ingredients for all the delicious dishes. The restaurant itself also has a small shop selling farm produce such as olive oil. 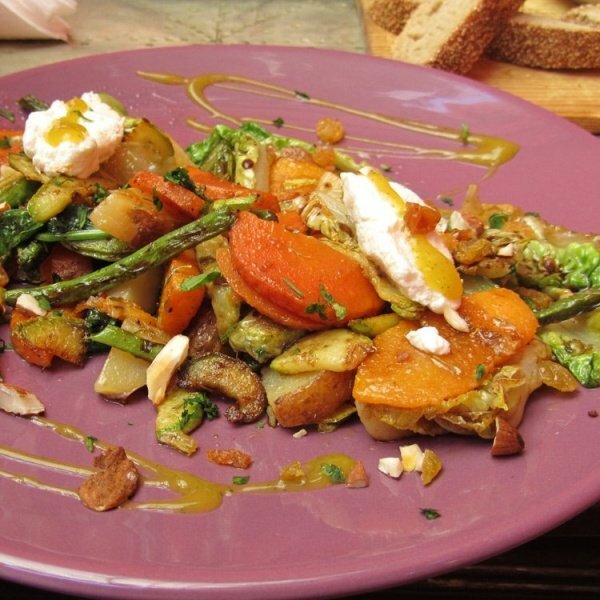 Earth Café is the premium spot for vegetarians and vegans to gather in Marrakech. 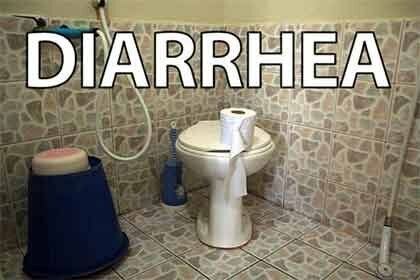 However, even habitual meat-eaters will get their money’s worth. 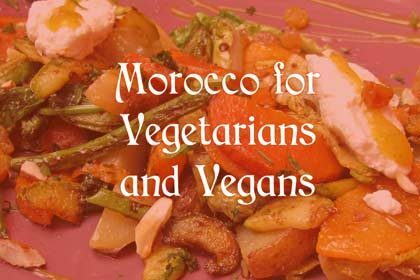 This is particularly true for those who’ve spent slightly longer travelling through Morocco and will gladly welcome a change from tagine or couscous. 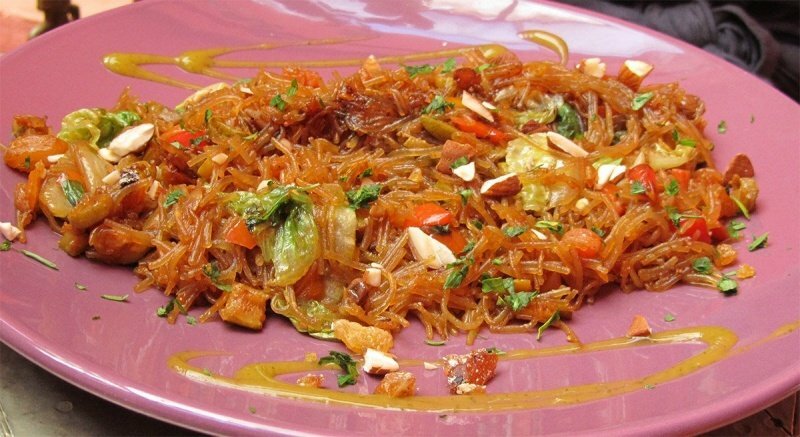 With reasonable prices, their unusual dishes are actually very good. 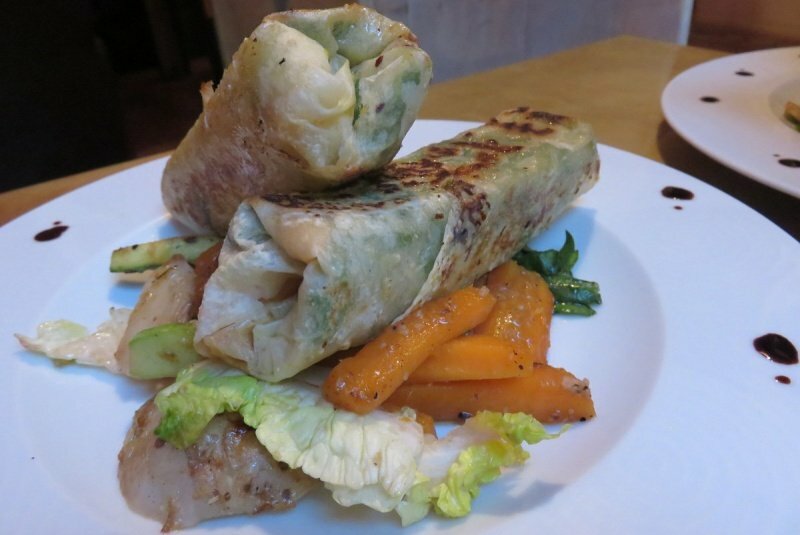 For a main course and a blended juice drink, you can expect to pay about 80 DH per head. 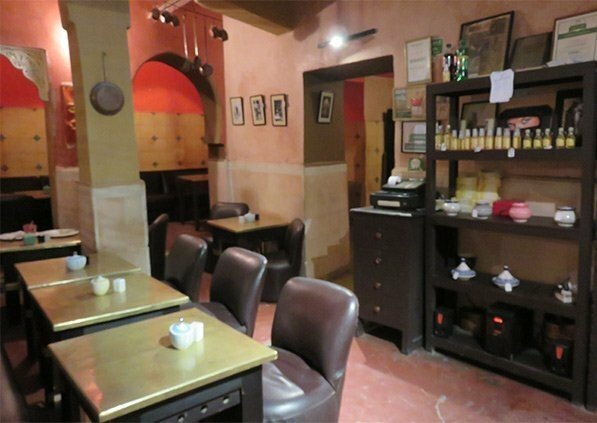 A few years ago, a second branch of the Earth Café opened up but it’s more hectic and less comfortable than the Café in the Riad in Derb Zawak. 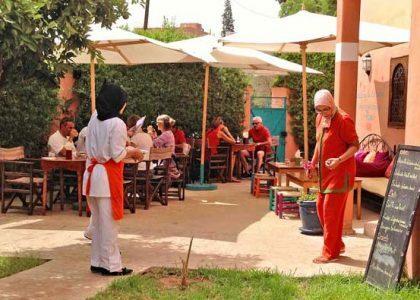 You can easily get to Earth Café in Marrakech from Djemaa el Fna, leaving the square to the south-east via Riad Zitoun Kedim. 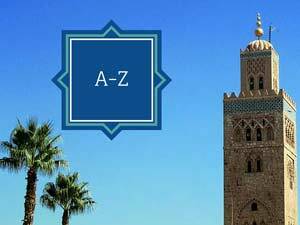 Following this road, turn right after about 600 meters into the narrow Derb Zawak. On the right hand side of this lane, you’ll see signposts to the restaurant.